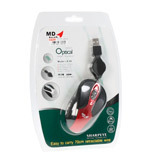 Combo Optical Mouse MD-TECH (MD-99) Black / Red (cable). Combo Optical Mouse MD-TECH (MD-99) Black (call collect). Mouse PAD (plastic) DSBD-198 Disney. Notify me of updates to Combo Optical Mouse MD-TECH (MD-99) Black / Red (cable).